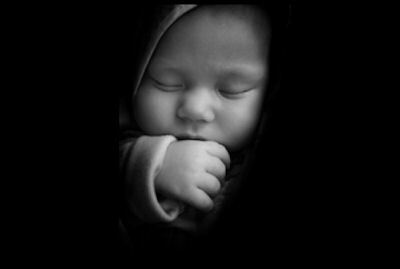 A heartbeat is the first thing you hear in life. No wonder a rhythm unites us. Building Teams … one beat at a time. A heart beat is the first thing we all hear in life. 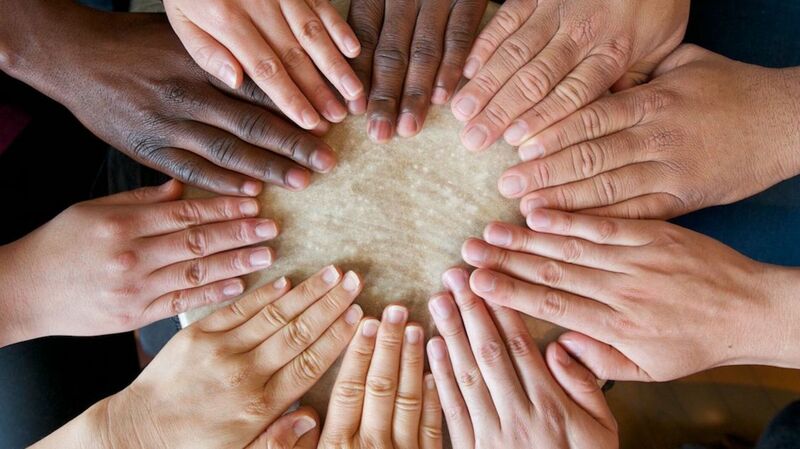 No wonder a beat is the same thing that can unite us all together. The drum is an ancient tool of communication and community building. In Africa and in many other cultures around the world, before any major tribal decision is made, the community gathers together at the centre of the village to make music. This joyous making of music breaks down barriers and creates a sense of unity, thus enabling communities to become more effective in their decision-making. Drum Cafe has run over 40,000 highly successful drumming and team-building events, and from that experience we know exactly how to encourage and bring out the very best in your team. Using our unique "Interactive Drumming" activities we can strengthen your team's leadership, teamwork and communication skills. Every participant gets an instrument, and every participant gets to be involved as part of the music-making team. Through the thrilling beat of the music, everybody has a chance to challenge themselves and attain their goals, and work as part of a successful team. It's a unique way of encouraging mutual respect and team-building skills from every member of your team. Rhythm unites us! We use the power of music to assist you in improving your team's motivation, strengthening the ties between members and encouraging innovation and organisational development. 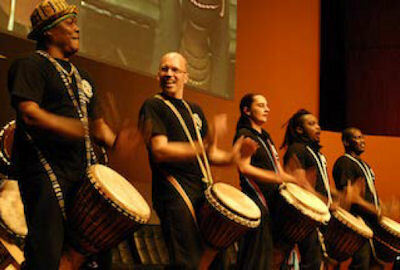 Drum Cafe began in 1998 in Johannesburg, South Africa, as a way of uniting people after years of apartheid. 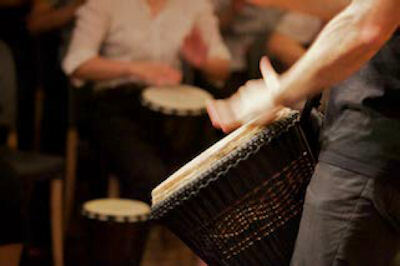 Over two million people have experienced our interactive drumming events, in 56 different countries across the globe. Drum Cafe has also been selected as one of the exclusive top ten "World-class Entertainment Companies". Drum Cafe Japan Co. Ltd.